If it seems like young people today are more comfortable identifying as LGBTQ, you're not imagining it. 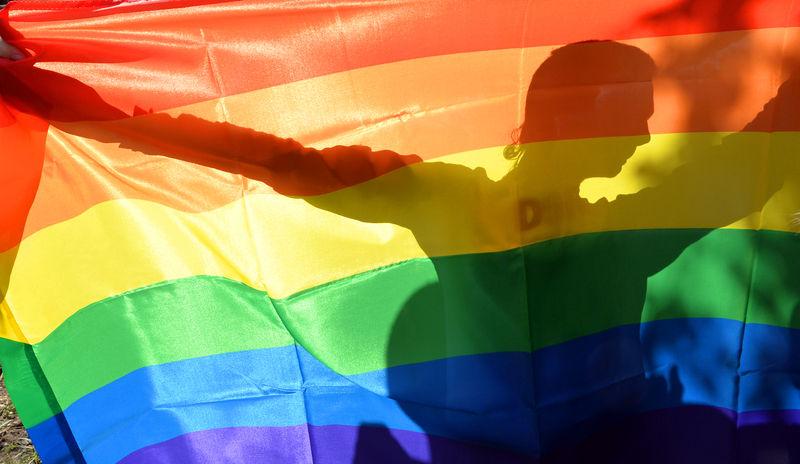 According to new research from the J. Walter Thompson Innovation Group, a market forecasting agency, teenagers are much more open to LGBTQ identities than you'd have expected even a generation ago. In fact, among this up-and-coming Generation Z, it seems that slightly less than half of all people identify as exclusively heterosexual. It's a whole new world, guys. Get excited. Perhaps most interesting, when asked about their own sexuality, Generation Z seems less inclined to label themselves in black or white terms. When asked to place themselves on a scale of zero to six, with six being completely heterosexual and zero being completely homosexual, more than a third of participants aged 13 to 20 rated themselves with a number one through five. Now, given that we are talking about young people, that isn't an automatic sign that over one-third of Generation Z are bisexual — though that would also be really cool — but it most likely means a lot of these kids are still exploring their sexuality and don't feel as though they're quite comfortable with absolutes yet. Which is perfectly fine, especially for teenagers. However, compared to Millennials, aged 21 to 34, the results from Generation Z do seem to indicate a distinct shift. Only 24 percent of Millennials in the survey placed themselves in the one through five range on the scale, and Millennials were also even more likely to identify as completely straight: 65 percent of Millennials surveyed identified this way, as opposed to only 48 percent of teens. It's possible that these numbers will change as Generation Z gets a little older and has had time to further explore their sexuality, but it's also possible that they'll be perfectly content to maintain that ambiguity. In a survey of Generation Z last year, J. Walter Thompson Group found that 82 percent of Generation Z say they don’t care about other people’s sexual orientation and 81 percent don't think gender defines a person as much as it used to. Additionally, this new study shows that Generation Z are much more familiar with people exploring their gender identity. Fifty-six percent say they know someone who goes by gender-neutral pronouns compared with only 43 percent of older Millennials (aged 28 to 34). They also are less likely to shop only for clothes designed for their gender and more likely to think gender-neutral restrooms should be available in public spaces. Shepherd Laughlin, the director of trendspotting at J. Walter Thompson, told Vox that after their study on Generation Z attitudes towards gender, they were curious what exactly young people meant when they indicated that gender didn't matter. "Were they just saying, for example, that men or women could pursue any career they wanted to?" he said. "Or did this reflect the more radical idea that gender itself isn't as important to personal identity as it used to be, or that gender shouldn't be seen as a binary? This new research shows that the latter idea is gaining significant traction among Gen Z-ers." So what does all this mean? Well, on the one hand, it's hard to know exactly what this means for how members of Generation Z will identify themselves once they stop being teenagers. Right now, this generation is still young enough that you wouldn't really expect them to have figured out their sexuality or gender identity yet. However, it does seem evident that they are, at the very least, more willing to explore those identities than past generations, which probably means more will identify as LGBTQ as adults. But on the other hand it does seem crystal clear that this generation has a very non-prescriptive view of gender, and that especially is awesome, and bodes well for our future. The kids, it turns out, are all right.